Scanning electron micrograph. Red blood cells clearly showing their biconcave disc shape. Red blood cells are the most common type of blood cell and the vertebrate body’s principal means of delivering oxygen from the lungs or gills to body tissues via the blood. Red blood cells are also known as RBCs, haematids or erythrocytes (from Greek erythros for “red” and kytos for “hollow”, with cyte nowadays translated as “cell”). A schistocyte is a red blood cell undergoing cell fragmentation, or a fragmented part of a red blood cell. It’s perfect and amazing. 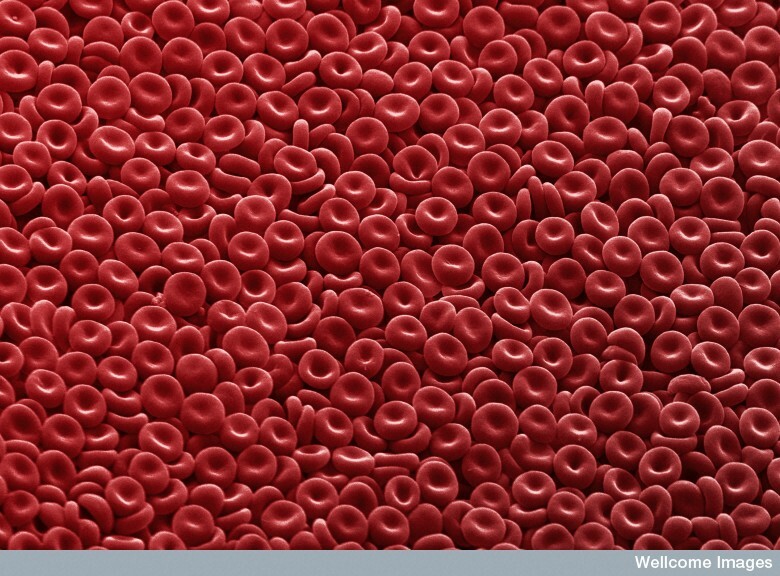 I really enjoy when I see pictures from blood cells. Thank you.